Helium in oxygen (HELIOX) can relieve airway obstruction and lower the work of breathing because it increases the threshold at which turbulent gas flow is induced. Less turbulent and more laminar flow lowers the work of breathing. According to guidelines, the fraction of Helium in HELIOX should be maximized (e.g. to 79%). Here, we investigate whether HELIOX with less than 60% of Helium is able to relieve the sensation of dyspnea in healthy volunteers. 44 volunteers underwent resistive loading breathing different gases (medical air and HELIOX with a fraction of 25%, 50% or 75% helium in oxygen) in a double-blinded crossover design. Subjects rated their degree of dyspnea (primary outcome parameter) and the variability of noninvasively measured systolic blood pressure was assessed. Dyspnea was significantly reduced by HELIOX-containing mixtures with a fraction of helium of 25% or more. 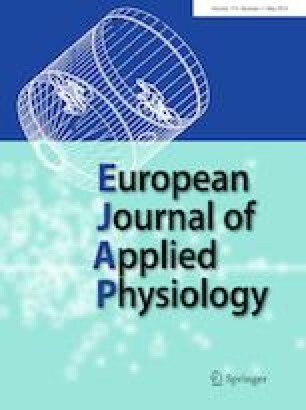 Similarly, blood pressure variability was reduced significantly even with helium 25% during respiratory loading with the higher load, whereas with the smaller load an effect could only be obtained with the highest helium fraction of 75%. In this clinical trial, HELIOX with less than 60% of helium in oxygen decreased the sensation of dyspnea and blood pressure variability, a surrogate parameter for airway obstruction. Therefore, higher oxygen fractions might be applied without losing the helium-related benefits for the treatment of upper airway obstruction. Registration with clinical trials (NCT00788788) and EMA (EudraCT number: 2006-005289-37). The conduct of this investigator-initiated study was supported by Linde Gas Therapeutics (Munich/Germany) by the provision of medical gases (Heliox, MA and Oxygen) and the Helontix-Vent™. The authors would also like to thank Dr. Ute Brauer and Dr. Rainer Köbrich for their advice and support with the study design; Dr. Rolf Lefering for his valuable scientific advice; and Dr. Scheffold for monitoring the study. Conception and design: HT, SS, JS, TL, PT; acquisition of data: HT, ABR, HD, SS, JS; statistical planning: TO, DC; analysis and interpretation of data: HT, SW, TO; drafting of the manuscript HT, TO, DC, SS, JS, TL, PT; PB final approval: all authors. PD Dr. Hubert Truebel organized and conducted the trial as lead PI while working at HELIOS Klinikum Wuppertal/Germany until 2008. Since then he is a fulltime employee of Bayer Pharma AG. Support (including gas supply and access to a HELONTIX Vent) was received from Linde Gas Therapeutics/Germany as well as through an INSPIRA research grant by BOC/UK to cover insurance and travel costs of subjects. Philip Boehme received founding from Bayer Pharma Ag. No conflicts of interest were reported by all other authors.